HBO has officially announced the premiere date for Fred Armisen (Forever) and Lorne Michaels (Saturday Night Live)’s upcoming Spanish-language comedy series titled Los Espookys. Starring Bernado Velasco, Cassandra Ciangherotti, Ana Fabrega, Julio Torres and Armisen, the 6-episode half-hour long comedy is scheduled to make its debut on June 14, exclusively on HBO. Los Espookys is set in a strange and dreamy version of present-day Mexico City and follows a group of friends turning their love for horror into a peculiar business, providing horror to those who need it, in a dreamy Latin American country where the strange and eerie are just part of daily life. Velasco stars as Renaldo, the leader of Los Espookys who is noble, kind, serene, and obsessed with gore. He’s always running out of cell phone minutes. Ciangherottie plays Ursula, a calm and collected dental assistant who provides teeth for the group’s monsters. She loves horror and her sister Tati but above all, teeth. Fabrega will play Tati, Ursula’s sister and Los Espooky’s test dummy. She’s constantly juggling several odd jobs, such as breaking in other people’s shoes and testing child safety locks. Torres stars as Renaldo’s best friend Andres, a dark and mysterious heir to a chocolate empire. His only true nemesis is his gorgeous boyfriend. Fernando Frias is serving as director on the Los Spookys pilot. The project is written by Armisen alongside Fabrega and Torres and will be produced by Michaels’ Broadway Video in association with Antigravico and Más Mejor. Executive producers include Armisen, Michaels, and Andrew Singer with Fabrega, Torres, and Alice Mathias set to co-executive produce. 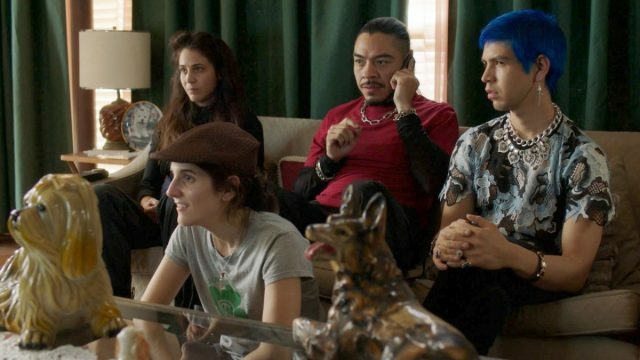 The post HBO’s Los Espookys Series Premiere Set For June appeared first on ComingSoon.net.